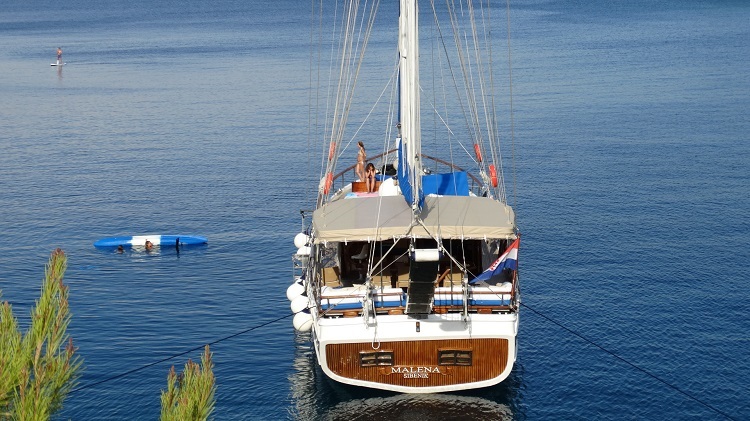 Gulet Malena charter in Croatia. 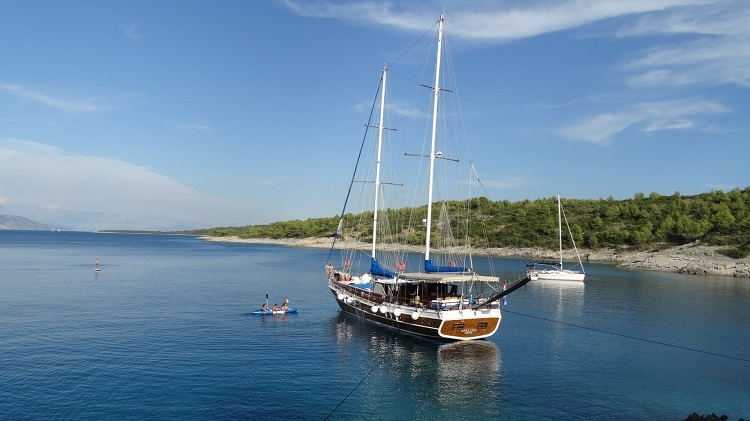 Gulet is available in marina: Split, Trogir, Sibenik, Zadar, Biograd. 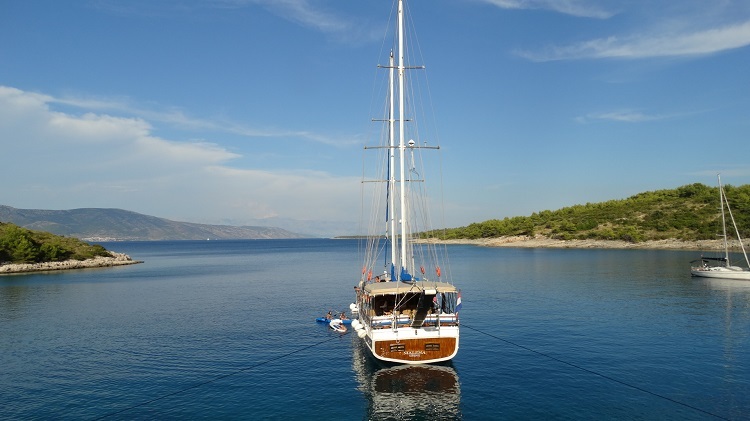 Gulet Malena is nice, wooden custom made gulet providing an excellent cruising vacation in Croatia. 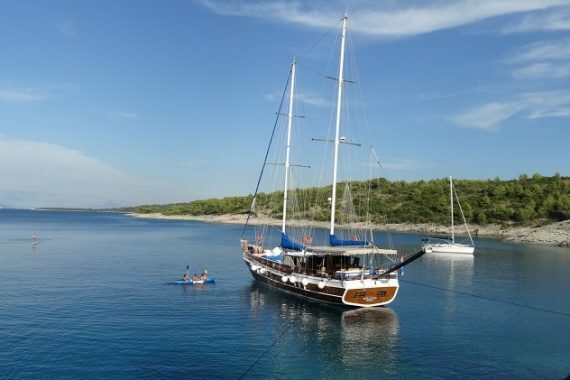 Malena is 25 meters long and 6,5 meters wide gulet available for private rental in Croatia! Gulet Malena is fully equipped up to the highest charter standards and will surelly provide an ultimate cruising experience. 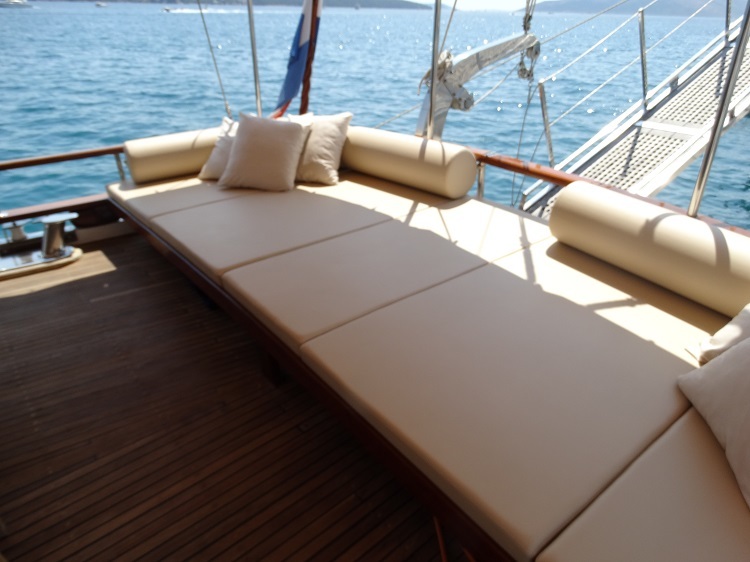 Gulet Malen is available for crewed charter in Croatia! 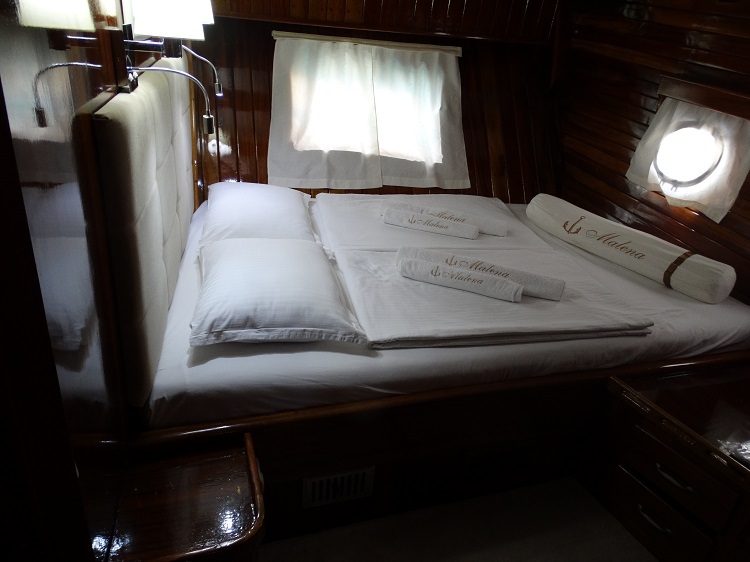 Gulet Malena has 5 guest cabins and can comfortably accommodate 10 guests. 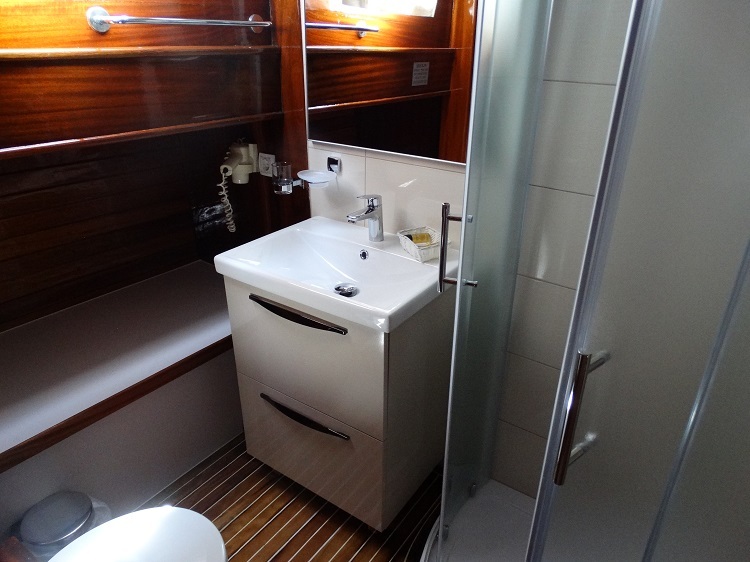 Malena has 4 double cabins and 1 twin guest cabin, all of them are modernly furnished and equipped with all necessary accessories. 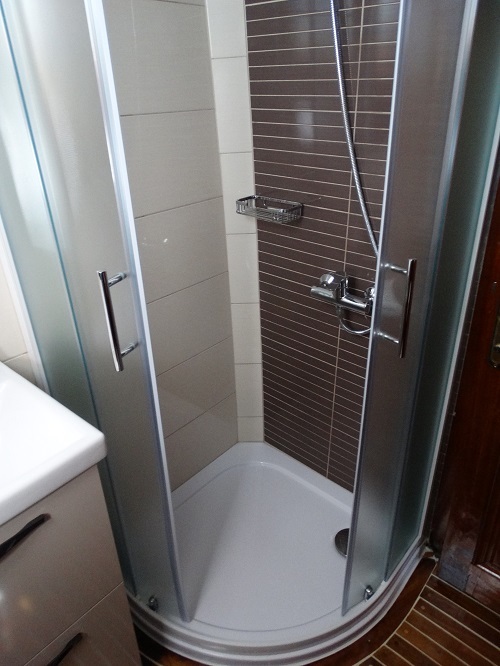 All cabins are air conditioned and have private toilette with shower tub. 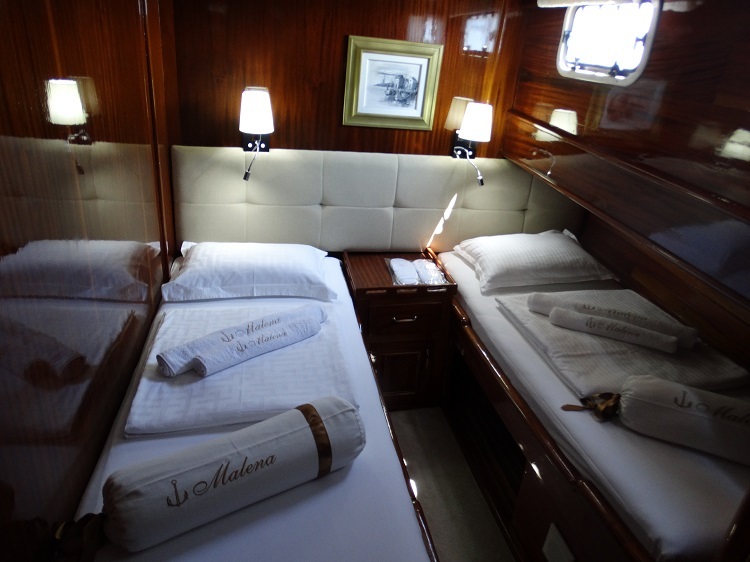 The saloon of the gulet Malena is very large and full of light. 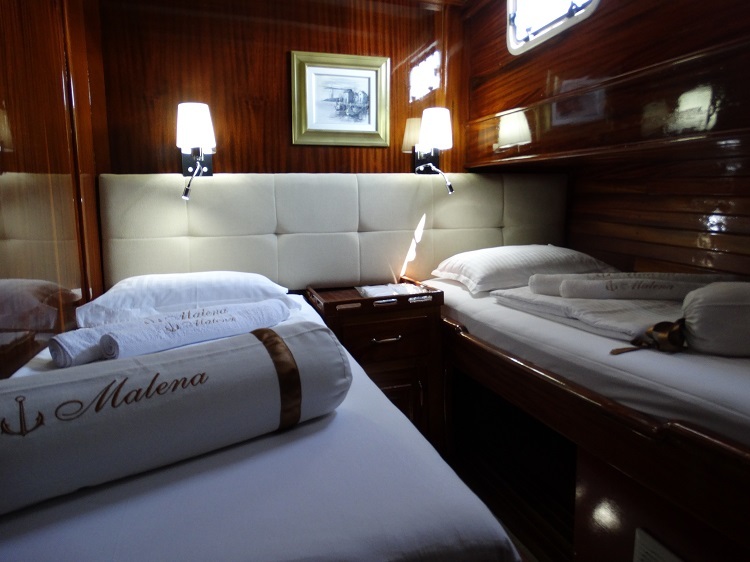 Malena saloon consist of table and chairs meant for indoor dining and the yacht’s bar where all kind of alcoholic and non alcoholic beverages are served. Saloon is also equipped with TV and music system. WI Fi is also on guest’s disposal. The exterior of the gulet Malena is the place meant for relaxation and enjoyment. Stern deck is the perfect dining area consisting of large dining table with chairs and a comfortable cushioned sofa for relaxation after meals. 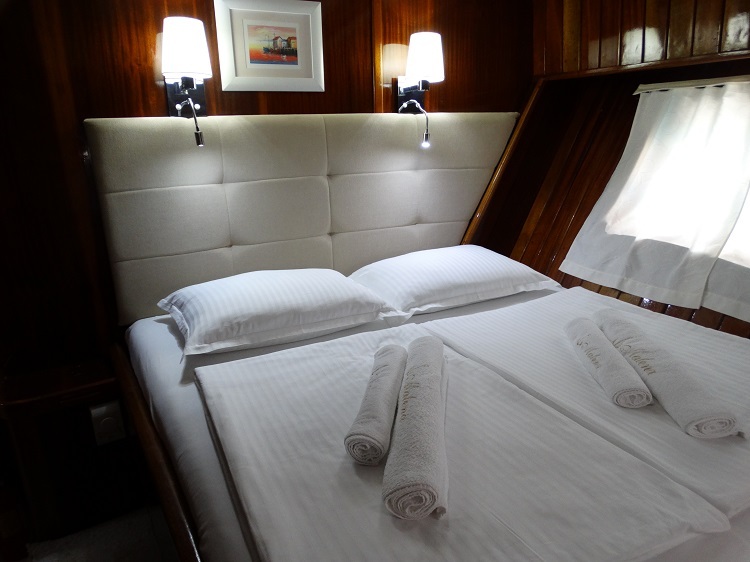 On the fore deck there are 10 cushioned mattresses for daily relaxation and sun bathing and cushioned bench as a perfect place for socialize with your friends and family. Malena has 3 crew members, the captain, cook and a sailor. 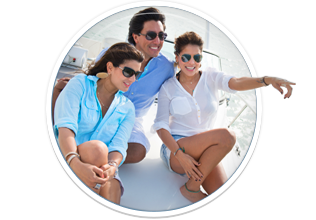 They are always at guest disposal, working hard to provide the best cruising experience to their guests. All kind of recreational equipment is available on board including tender, water ski, canoe, snorkeling equipment. 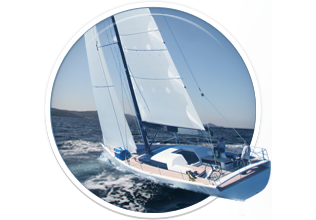 Includes: weekly accommodation on gulet Malena, boat insurance, fuel for 4 hours of cruising per day, one way charter from/to Dubrovnik, 4 crew members (captain, chef, deckhand), service on board, bed linen and hand/shower towels, sun towels, the use of all appliances on the yacht, VAT. 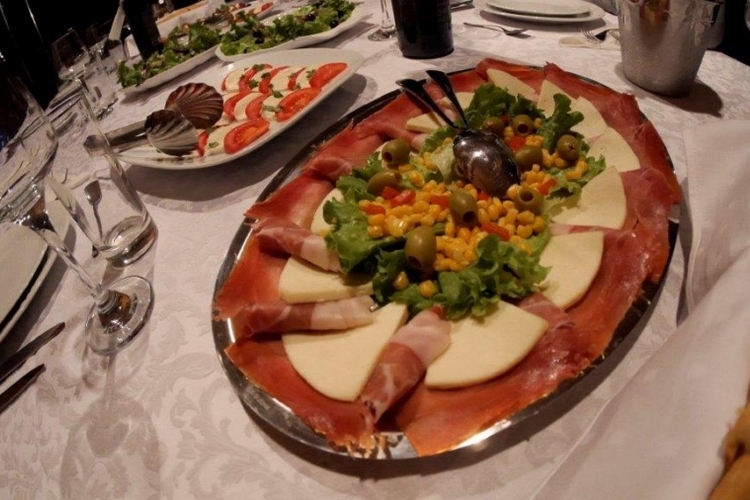 Half board (breakfast + lunch): 300,00 Eur per person per week. 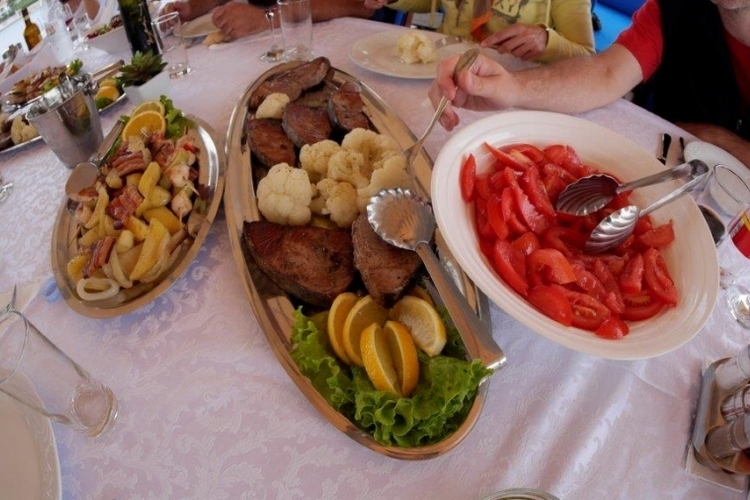 Full board (breakfast, lunch, dinner) 500,00 Eur per person per week. 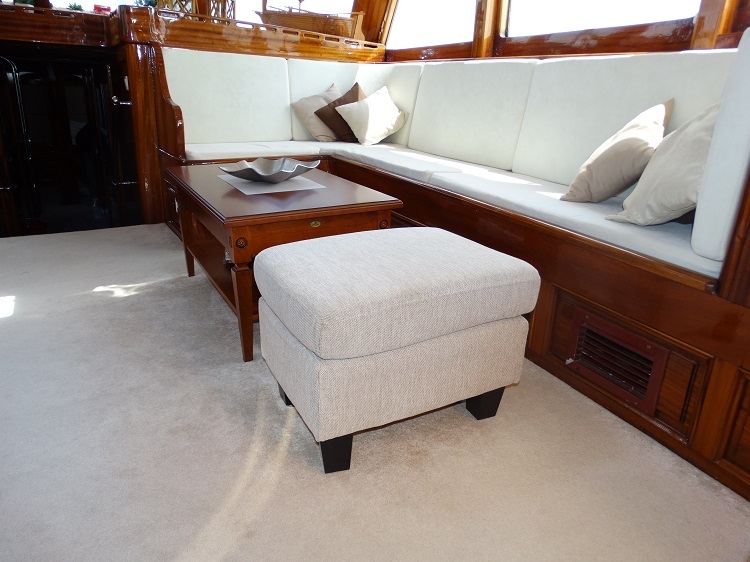 Drinks/beverages are served on the yacht’s bar and paid according to consummation. Port fees are to be paid locally, on spot in each port. 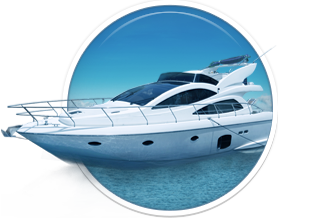 Food, beverages, port fees, more than 4 hours of cruising per day, more than 4-6 hours of air conditioning per day, entrance to the National Parks, private marinas fees, guest’s personal expenses, water ski, extra usage of tender, tips for the crew. Here you can find basic information about Gulet Malena. Other specifications, can vary from boat to boat, therefore we recommend to search for particular Gulet Malena from our database, in the destinations of your preference.